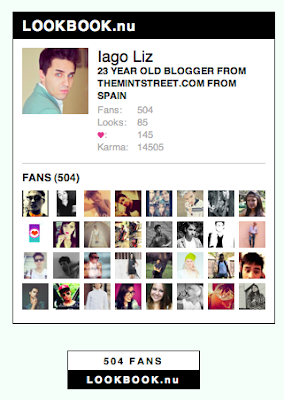 I wanted to say thanks to all of you from here guys !, more than 500 fans on Lookbook.nu, for me it's an honor and you are making it possible through the best way possible. I hope in the coming months you continue following me as you are doing right now, thanks so much and keep rocking guys ! click the images to go to my profile page ! 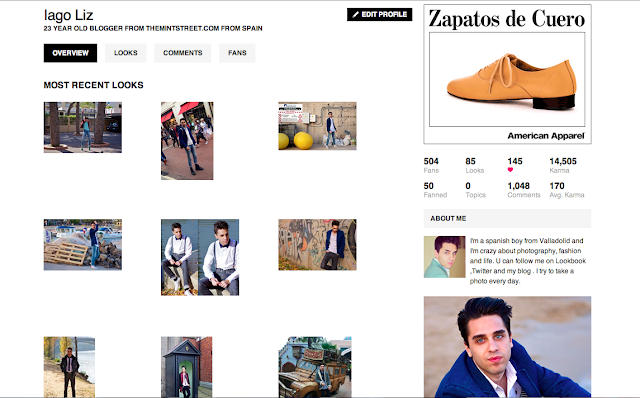 For those that don't know about this website, it is the most important place about street style and fashion ever, a lot of famous people started working here like Andy Torres or Chiara Ferragni, Andreas Wijk ... So much brands want to collaborate now days with fashion bloggers because they have usually more fans and followers , so this website is the best place to find out new bloggers and start a fashion deal with them ... actually Mango is working in a new contest campaign with lookbook, last year i work with American Appareal thanks to lookbook too, so it's so important to be part of this website !